Spring may be just around the corner, but with all this cold snaps gripping Britain of late it's clear winter isn't going away without a fight. So there doesn't seem a better time to upgrade your coat game with a new jacket from Oros' Rover Series. 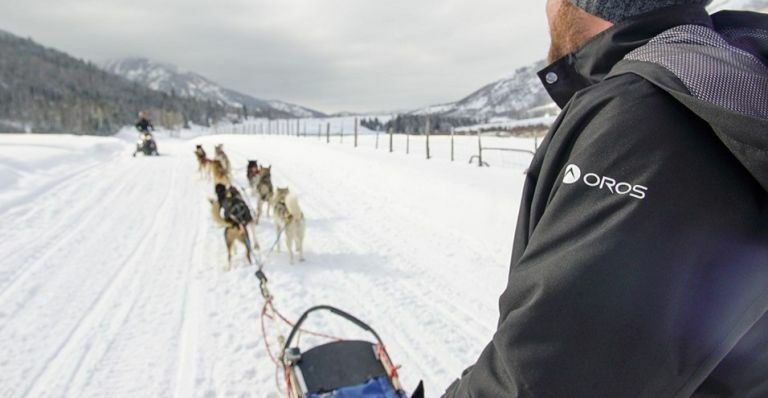 The outdoor apparel specialist has imbued its new spring range with a proprietary insulation design called SolarCore, which is adapted from a NASA insulator called aerogel that was originally used for spacesuits. Pretty neat, huh? The series includes a 1/4 zip baselayer ($120/£96) and a pair of leggings ($98/£78), but it's the Insulated Shell Jacket that's the real star here. With that SolarCore design in place the jacket is both warm and breathable - making it an ideal addition to any adventurer's makeshift wardrobe. You can order one today direct from Oros today, priced at $225/£180. There's also a Women's Rain Jacket design as well for the same price. Hive is fast becoming one of the nation's favourite smart thermostats, so to capatalise on all those good vibes British Gas has teamed up with homebuilder Avant Homes in a new deal that will see Hive's fitted as standard in all its all-inclusive tier builds. Hive Active Heating, which enables you to control everything from hot water to heating direct from your smartphone or tablet, is a great way to save money on your energy bills so having one fitted in your new home already is a sure-fire way to start your own connected abode. Hive will be integrated into all new houses being built at Avant Homes’ current developments throughout Scotland, North East England, Yorkshire and the Midlands throughout 2017. For more info, check out Avant Homes' official site. Take-Two, the publisher behind the super-popular basketball series NBA 2K has teamed up with the National Basketball Association itself to set up the first official NBA 2K eLeague. With eSports continuing to grow at an alarming rate elsewhere, a step into the competitive space seemed inevitable - however, this is the first e-gaming league to be have the backing of an official sporting association. "We believe we have a unique opportunity to develop something truly special for our fans and the young and growing eSports community,” says NBA commissioner Adam Silver. "We look forward to combining our best-in-class NBA sports team operators with Take-Two’s competitive gaming expertise to create a brand new league experience." The NBA 2K eLeague is set to debut in 2018, so expect it to feature NBA 2K18 (which will likely drop around September/October this year, if previous entries are anything to go by).